Mouth blown and hand painted in a small Polish studio where glass making has been a tradition for generations, these ornaments are interpretations from the popular Chalkware figurines. 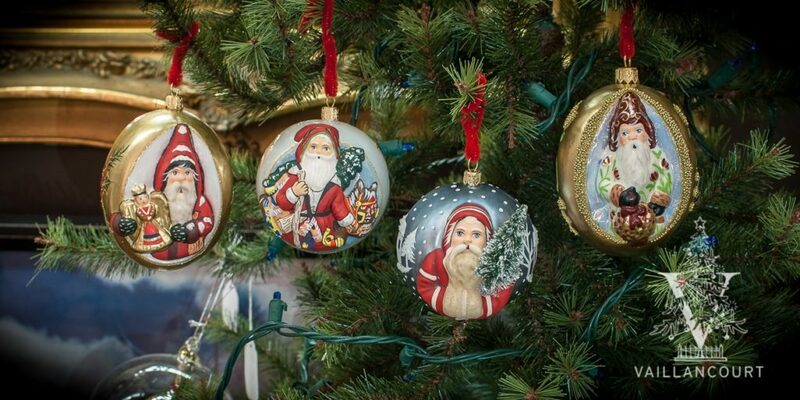 These ornaments, designed and created by Judi Vaillancourt, were the first ornaments ever to be introduced into the American market with a matte finish. Hand-painted, the level of detail on these glass ornaments are close to the detail of the American made chalkware figurines.